I think I finally understand why Jimmy Kimmel kept bumping Matt Damon from his show. The problem with those situations is simple: when you’re on the winning side of oppression, you don’t get to decide what’s important. No matter how noble your intentions, the end result is the perpetuation of the same inequalities that got us here in the first place. If you stand to win, you aren’t objective. So, if we understand that we live in a society that is racist, classist, sexist, heterosexist, ableist, colonialist, or otherwise hegemonically oppressive… then it would fall to reason that our Arts and culture system will instinctively reproduce the same oppression of the society with which it is entangled. And many of the concepts and mores, particularly around behavior and merit, which we consider objectively “good” or “bad” are informed by the previously mentioned oppressions. Language, culture, art, film, etiquette, laws, roads, walls, cities, borders, politics, religion, race — they are all constructs. In other words, they were all made up. Nothing but symbols, objects and rituals compiled through repetition to create order where there was chaos. We are in the Matrix. And that is the good news. 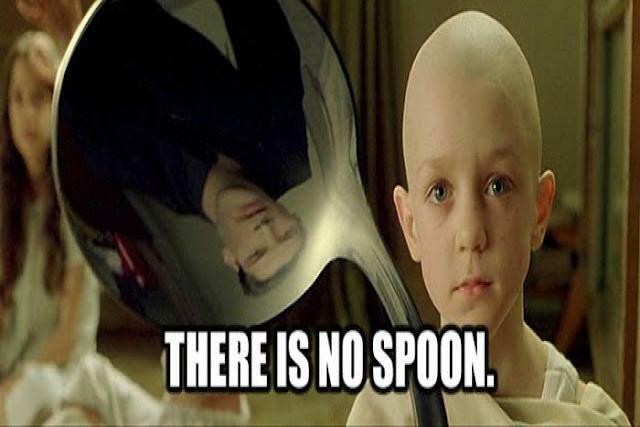 Because once we recognize there is no spoon, we can bend it. I’m in no way advocating chaos nor negating that these things we have made up are necessary — I love walls and wifi as much as the next person. What I am advocating is to recognize that each item we constructed was made to benefit someone and to therefore reject someone else. Oftentimes these benefits play out in the form of systemic oppression on a global scale. We are all implicated. Each of us can stand to benefit or be punished by this system based on how various parts of us intersect. Cultural categories, which no one seemed able to define with any real precision, became fixed givens that one could be skeptical of only at the price of being accused of uncritical democratic relativism…. If the cultural categories we utilize are the product of a specific historical moment–like the political categories “right” and “left,” which currently do as much to obfuscate as to enlighten–then the immediate question is less whether we should employ hierarchical categories than whether we should employ frozen categories ripped out of the contexts in which they were created. In short: we made up the categories (and their order), we made it gauche to question them and we pretended they were somehow “objectively” correct. The system that gave us #damonsplaining is not just a film problem. It is not even just an arts problem. It could be applied to just about any aspect of public or private life. It is not just about “diversity.” It is about decentering the oppressor in the telling of our collective stories, whether they are fictional or not. Additionally, this isn’t a zero-sum game: you can be on either side of different oppressive systems at once. I frequently talk about race and feminism but turn notably quieter on issues of class and economic parity. This is because I know that my decidedly middle-class upbringing has offered me access or agency in ways that are not available to others. There are people who have the knowledge and experience to speak from a place that I don’t have; I try to amplify their voices and listen as much as possible. It is unhelpful for me to talk about what I think the poor should do because correcting the oppressed is never the solution. The fight should always be taken to the oppressor. Know when you are oppressed and when you are the oppressor. Make sure you’re fighting in the right direction. Own your opinions as opinions, not fact. Opinions are common. Facts are rare. Universal facts rarer still. Understand that intent is not magic. Sometimes things are just terrible unintentionally. Support other people’s agency while exercising your own. That’s a win/win. Or let’s just ask Matt Damon. I’m sure he can explain it better than I can. Previous articleIs Theater Too Ideologically Exclusive?